For the second year running, New School students are working with the International Rescue Committee (IRC) to confront unsolved challenges that impact the lives of displaced populations and the host communities in which they reside. The students are in Amman, Jordan this summer as part of the Zolberg IRC Fellowship Program. An initiative of the Zolberg Institute on Migration and Mobility at The New School for Social Research (NSSR) and IRC, the Fellowship Program gives interdisciplinary teams of master’s and doctoral students the opportunity to work with IRC in countries around the world. The initiative was made possible last year by a $10 million commitment from distinguished New School trustee Henry Arnhold. Partnering with the IRC’s Airbel Center — a research and development lab created to design, test, and drive large-scale humanitarian interventions — Parsons students Alik Mikaelian and Steven Hubbard and Graduate Program in International Affairs (GPIA) students Zuzanna Krzatala and Emilee Pelletier are spending two months addressing concerns of health, housing, and employment. As part of the Fellowship, students spent the first week learning about the central debates in refugees and development politics and critical approaches to humanitarianism and design thinking. 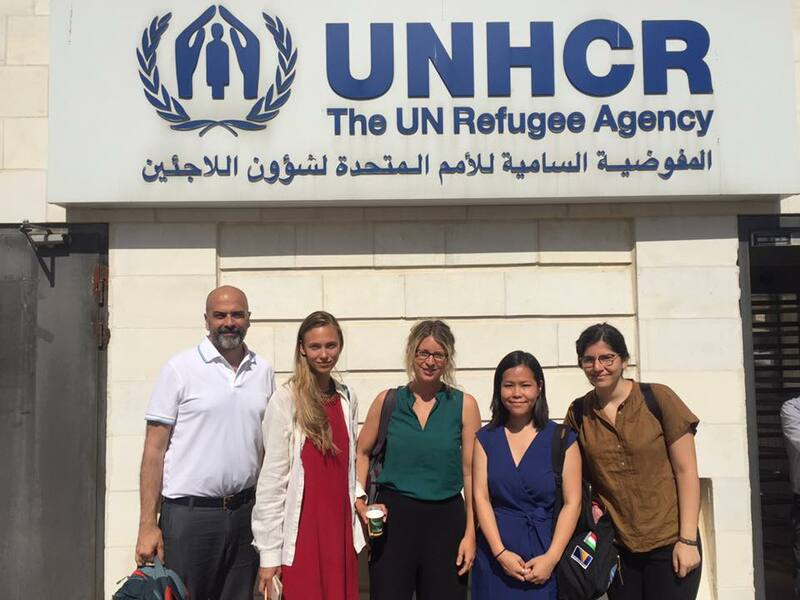 They also met with staff at the United Nations Refugee Agency, who introduced them to the on-the-ground realities of forced migration in Jordan. The Zolberg Institute was founded in 2014 to promote new approaches to the theory and practice of addressing challenges to human mobility, while aiming to help create more open and inclusive democratic societies. Its work builds on the legacy of the University in Exile, and is named after Aristide Zolberg, a Jewish refugee and a pioneer in the study of migration law as a professor of politics at The New School, who founded the Institute’s predecessor, the International Center for Migration, Ethnicity and Citizenship, here in the 1990s.